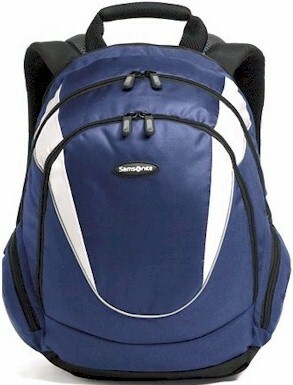 The Quad Backpack has maximum comfort and extra foam padding. The front organizer compartment consist of a music pocket with headphone gate a cell phone pocket and multiple pen pockets. And the roomy main interior is great for packing a large amount of school supplies. 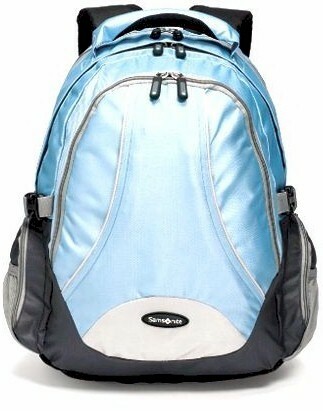 This Campus backpack is a large lightweight backpack with reflective trim that provides visibility. 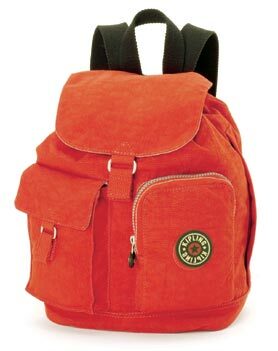 The padded shoulder straps add maximum comfort and there's a music pocket with headphone gate. The front organizer section is good for palm pilot keys cell phone etc. and the side water bottle pocket comes in handy. This Radius backpack is a lightweight laptop backpack that stands out. The reflective trim provides visibility the padded shoulder straps add maximum comfort and there's a music pocket with headphone gate. The front organizer section is good for palm pilot keys cell phone etc. and the main compartment has a padded computer sleeve. A pint-sized favorite for long or short treks and adventures. Plenty of extra pockets for traveling pack rats! Dimensions: 7"L x 10½"H x 5¼"D Weight: 1 lb. 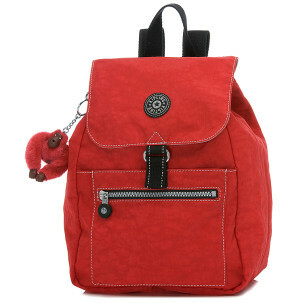 This perfectly proportioned front pocket pack meshes practicality with any style in one perfect bag! Ideal for everyday or short getaways. Dimensions: 9"L x 13½"H x 7¼"D Weight: 1 lb. 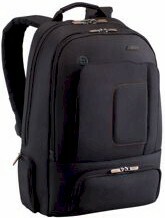 This Vigor backpack is a laptop backpack that stands out. The reflective trim provides visibility the padded shoulder straps add maximum comfort and there's a music pocket with headphone gate. The front organizer section is good for palm pilot keys cell phone etc. and the main compartment has a padded computer sleeve. outside zippered pocket. inside compartments. hook. 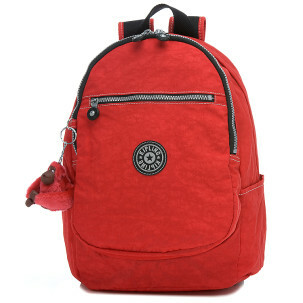 Comes in variety of colors in Coated Crinkle Nylon. 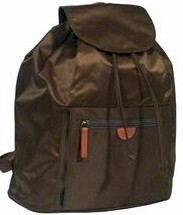 A roomy backpack for everyday use. The front compartment has a mesh organizer with slots for pens key fob and even a music pocket with headphone port. 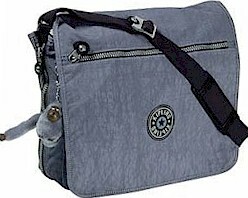 Fully lined main compartment has a fleece-lined sunglass pouch the slash pocket and zipper organizer. 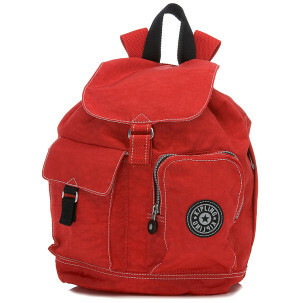 Carry your cargo with comfort and ease with this medium-sized backpack. Bag comes with Signature furry Kipling key ring. Dimensions: 9"L x 14"H x 7½"D Weight: 1 lb. outside zippered pocket. inside compartments. hook. 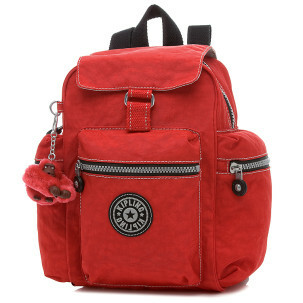 Comes in variety of colors in Coated Crinkle Nylon. Adjustable shoulder strap. Trademark matching monkey key ring. Lined. 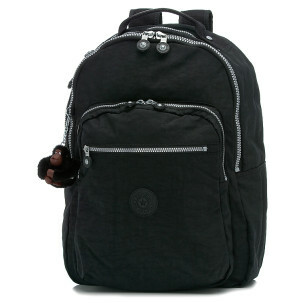 Medium zip-top backpack with adjustable padded shoulder straps that is lightweight, durable and perfect for spontaneous weekend adventures. Dimensions: 10"L x 14¾"H x 6¾"D Weight: 1.2 lbs. 12"L x 17"H x 5"D Weight: 1.5 lbs. 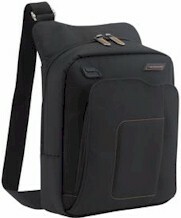 Main zipped compartment contains laptop pocket with Velcro closure and a padded back and bottom panel. 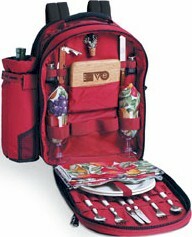 Insulated picnic backpack with detachable wine duffel and deluxe service for 2 made of 600D polyester canvas. The original insulated picnic backpack the Columbus is perfect for the adventurous picnicker. 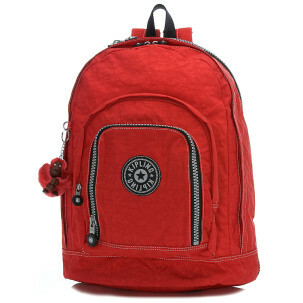 Made from heavy-duty polyester canvas this backpack is lightweight compact and very practical. 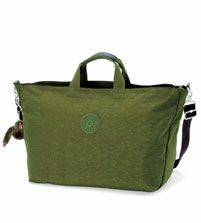 It is outfitted with a detachable insulated wine duffel and all the amenities needed for a picnic for two. The Columbus was intelligently designed with pockets/compartments for all of its accessories. The large food compartment featuring state-of-the-art Thermo-Guard insulation will help keep your picnic hot/cold for hours. 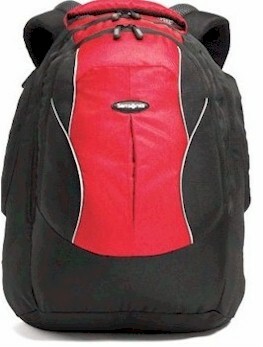 Great for picnics hikes concerts and sporting events. Just pack it up and go! Comes with 2-melamine 9"Plates 2-acrylic Wine glasses 2-Ea. stainless steel knives forks & spoons 1-wood 6" x 6" Cutting board 1-waiter style stainless steel Corkscrew 1-Ornate Bottle Stopper 1-stainless steel w/wood handle Cheese knife 2-cotton 14" x 14" Napkins 1-cotton 45" x 45"Tablecloth and 1-Set of salt/pepper shakers. Available in Hunter green/grapes Burgundy Black Hunter green/tartan Hunter green/apples Dark Red and Navy. 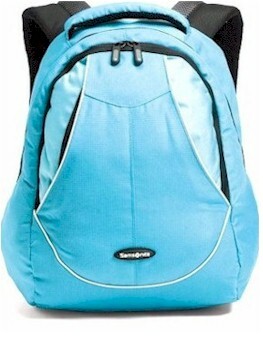 A roomy backpack for everyday use. The inside features a large compartment separated with by a vertical divider for separating files or books. The waterproof pocket comes complete with a headphone port that allows for hands-free listening. 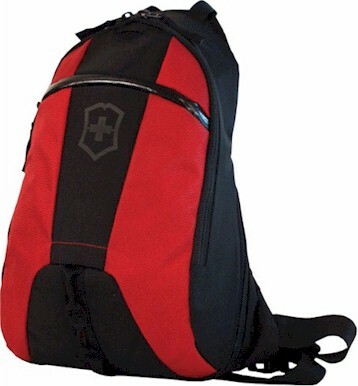 The ultra-comfortable shoulder straps make the case easy to handle. 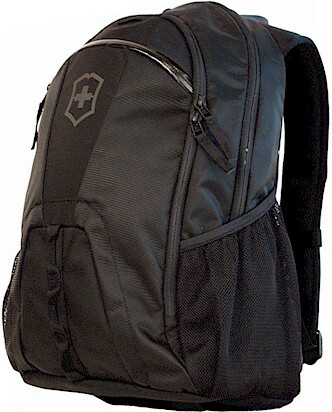 13x12x5.5"Bric's X-Travel Backpack Bric's X-Travel Backpackckpack has a handy drawstring closure and outside pocket. There's a large inside packing area for clothing, books and any other everyday needs.ble polyamide fabric that is PVC coated and water-proof treating. A small everyday bag to house all of life's extras. One comfortable strap can sling over shoulder for easy transport. 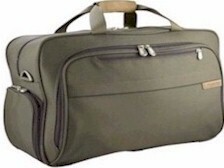 The front organizer compartment can accommodate keys tickets a flash drive business cards pens and MP3 player (there's a headphone porthole for listening while carrying). And the main packing area can house an extra book or files. On the Outside this bag is made of lightweight water repellant abrasion tear and puncture resistant fabric and has 210 denier nylon lining. There's also self-repairing durable YKK® Racquet Coil™ zippers ergonomic zipper pulls and lockable main compartment zipper pulls. In the Inside there's room for extra papers or magazines while traveling. 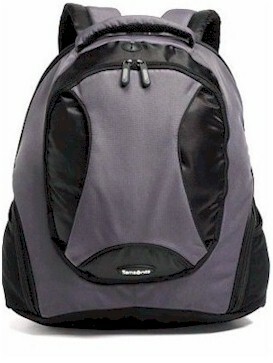 A large, practical backpack and ideal student book bag with 3 roomy compartments for carrying text books or clothes for an overnight trip with comfort and ease. Dimensions: 14"L x 16.5H x 7.5D Weight: 1.7 lbs. Rolling Backpack on Wheels but yet can be used just like a regular backpack. Amazing its Convertible. We have seen them try to do this before. Many were very excited not us. Until now because this one works. It is light weight enough to use in the traditional way and durable enough to roll. 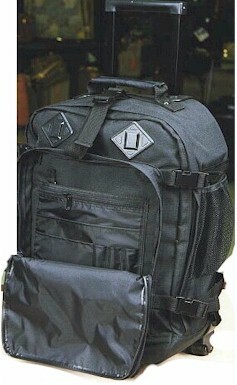 They use solid construction all the way around and material is heavy duty cordura. Comes in black. We stock for immediate shipment.